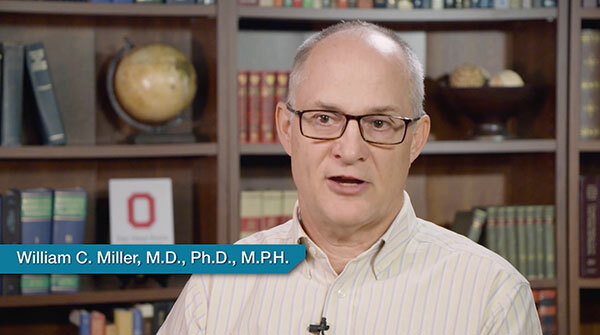 In this video, lead researcher Dr. William Miller explains the integrated intervention and next steps. Researchers demonstrated the effectiveness of an integrated intervention designed to help people who inject drugs and have HIV overcome obstacles to health care. Participants who received the intervention engaged in HIV treatment, achieved viral suppression at higher rates, and died at half the rate of participants in a control group. Figure 1. 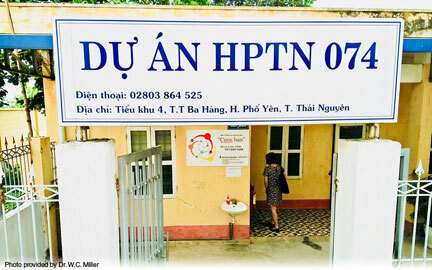 Treatment Site for the Integrated Treatment Trial (HPTN 074) in Thai Nguyen, Vietnam. Dr. Miller and an international team of researchers linked to the NIH-funded HIV Prevention Trials Network tested the intervention in three countries that have high rates of comorbid injection drug use and HIV. The researchers recruited a total of 502 men and women who injected drugs and were living with HIV in Indonesia, Ukraine, and Vietnam (see Figure 1). About one-quarter of the trial participants received the integrated intervention and the rest received the standard of care in their country. Figure 2. An Integrated Intervention Enhances Treatment Participation and Viral Suppression After 1 Year in People Who Inject Drugs and Have HIV Compared with standard-care participants, more participants who received the integrated intervention were on antiretroviral therapy (ART) at week 52 and showed viral suppression (plasma HIV-1 RNA <40 copies/mL). Additionally, more intervention recipients were receiving medication-assisted treatment (MAT) for their substance use. After 1 year, 72 percent of those receiving the integrated intervention were on antiretroviral therapy for HIV, and 41 percent had no detectable HIV in their blood, compared with 43 percent and 24 percent, respectively, among standard-care participants (see Figure 2). Participants in the integrated intervention arm also were significantly more likely to be receiving medication-assisted therapy for their substance use disorders. In addition, 15 percent of standard-care recipients with HIV, but only 7 percent of those receiving the integrated intervention, had died—a 53 percent mortality differential. At the start of the trial, the researchers asked each injection drug user with HIV to recruit an injection partner who did not have HIV. After a year, no new HIV infections had occurred among the 187 injection partners of intervention participants, whereas seven new infections occurred among the 619 injection partners of standard-care patients. Although the trial was too small to allow for statistical analysis of this finding, it suggests that the intervention can reduce recipients' risk of transmitting the virus to their uninfected injection partners. Figure 3. An Integrated Treatment That Combines Anti-HIV Therapy, Support From a Systems Navigator, and Psychosocial Counseling Results in Improved Outcomes Participants who received the integrated treatment had higher rates of ART treatment, viral suppression, and MAT for their drug use as well as reduced mortality after 1 year compared with participants who received standard of care in their country. Dr. Miller adds, "We have received funding from NIDA to conduct an implementation science trial in Vietnam. We hope to learn the best way to take the intervention to scale." This study was supported by NIDA, the National Institute of Allergy and Infectious Diseases, and the National Institute of Mental Health. Miller, W.C., Hoffman, I.F., Hanscom, B.S., et al. A scalable, integrated intervention to engage people who inject drugs in HIV care and medication-assisted treatment: A randomized, controlled vanguard trial (HPTN 074). Lancet, 392(10149):747–759, 2018. NIDA. "Integrated Intervention Benefits People Who Inject Drugs and Have HIV." National Institute on Drug Abuse, 27 Nov. 2018, https://www.drugabuse.gov/news-events/nida-notes/2018/11/integrated-intervention-benefits-people-who-inject-drugs-have-hiv. NIDA. Integrated Intervention Benefits People Who Inject Drugs and Have HIV. National Institute on Drug Abuse website. https://www.drugabuse.gov/news-events/nida-notes/2018/11/integrated-intervention-benefits-people-who-inject-drugs-have-hiv. November 27, 2018.